The agency hasn't been at full capacity for a month, and getting tax refunds out in time will be a heavy lift. WASHINGTON — The IRS’ workforce will return to full strength under the short-term deal to reopen the government struck Friday by President Trump and congressional leaders. 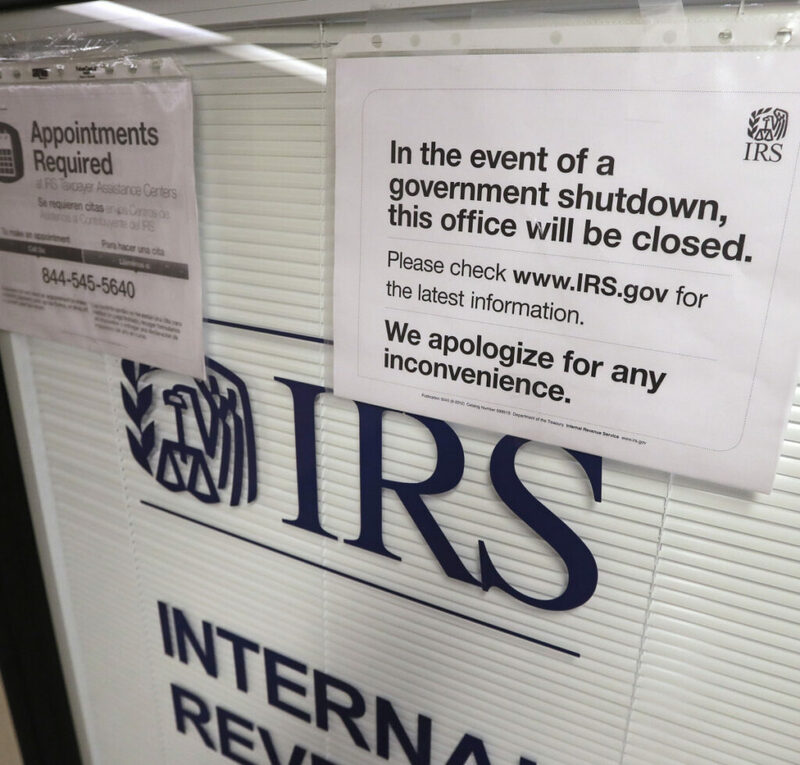 But the disruption from the partial shutdown and the recent absence of a large contingent of recalled IRS employees mean the possibility of delayed tax refunds. The administration had planned to eventually send about 46,000 furloughed IRS employees back to work during the shutdown – nearly 60 percent of the IRS workforce. The recalled employees who hadn’t reported for work include staffers in IRS processing centers in Ogden, Utah; Kansas City, Missouri; Fresno, California; and Austin, Texas, according to union officials. Last year, with the new tax law looming, Congress was more willing to open its wallet for the IRS and blunted the Trump administration’s proposed cuts. But it ended up cutting in other areas. The result is that the agency’s budget is about the same – $11.4 billion – as in recent years.